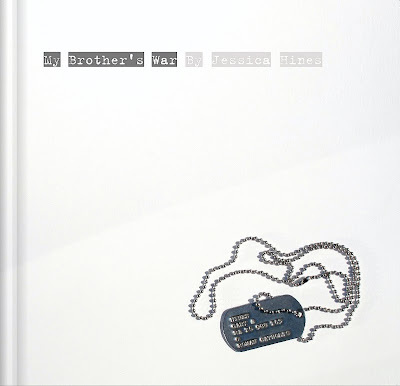 Jessica approached me to design a portfolio to best showcase her Photo Essay, My Brother's War. This was to be sort of a book 'dummy' to show potential publishers her intention behind her project in which she attempts to gain a better understanding of what happened to her brother, Gary, when he was a soldier in the Viet Nam War. Drafted, he served two years and returned home a victim of Post Traumatic Stress Disorder. 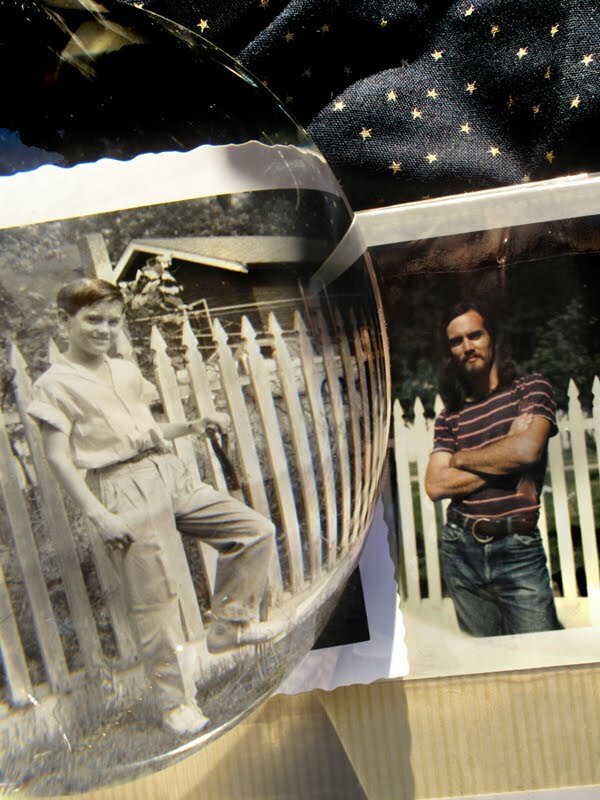 Ten years later, he took his own life. I was honored to be asked to work on this beautiful and moving project. I was impressed with the amount of research Jessica put into locating and speaking with her brother's wartime friends and attending the reunion of her brother's units in Viet Nam: The 178th ASHC, The Boxcars and the 132nd ASHC, Hercules, as well as traveling to Viet Nam to retrace her brother’s “footsteps”. Hines photographed her brother's letters, written home during his service in Viet Nam, which run throughout the seven chapters. I particularly wanted my cover design to reflect the emotion I felt when first imagining Gary's Army dog tags, the absence of the person. Jessica won a multitude of photography awards this past year, including the International Photography Awards: three Honorable Mention awards for Editorial: War/Conflict, Fine Art, and Deeper Perspective, PX3 Prix de la Photographie Paris: 1st Place Fine Art and PX3 Book Award in People’s Choice Award, Lens Culture International Exposure Awards 2009: Honorable Mention, The Mind’s Eye 2009 at The Center For Fine Art Photography: Director’s Award. Her work was selected by the Pulitzer Prize-winning photo editor, Stella Kramer, and published in Portfolio Showcase, Volume 3, 2009. Her portfolio was chosen as one of Photolucida’s 2008 Critical Mass Top 50 and she is a finalist for The Aftermath Project Grant in 2010, among others. Jessica's work has been selected for Houston's upcoming FotoFest 2010 Portfolio Review in March and her work continues to be seen in The New Yorker magazine. View Jessica Hines "My Brother's War"
May 2010 Update: Congratulations! Jessica Hines is a winner in the PDN Photo Annual. 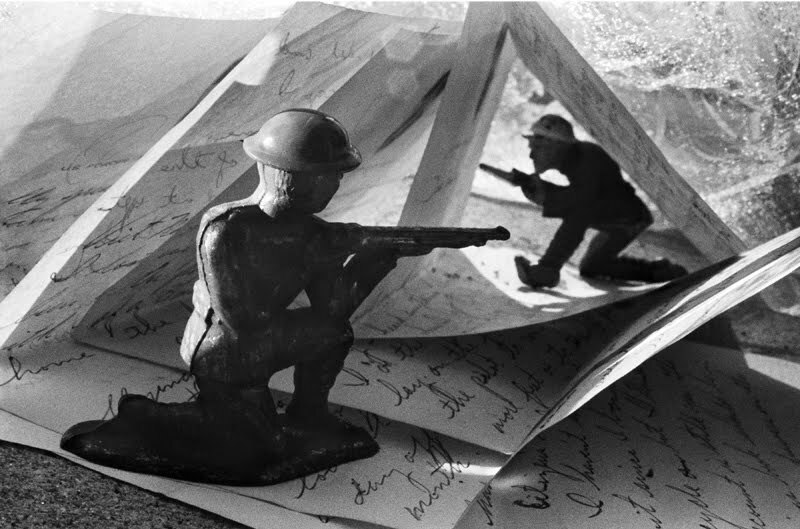 One of her images from "My Brother's War" is in PDN's May issue! 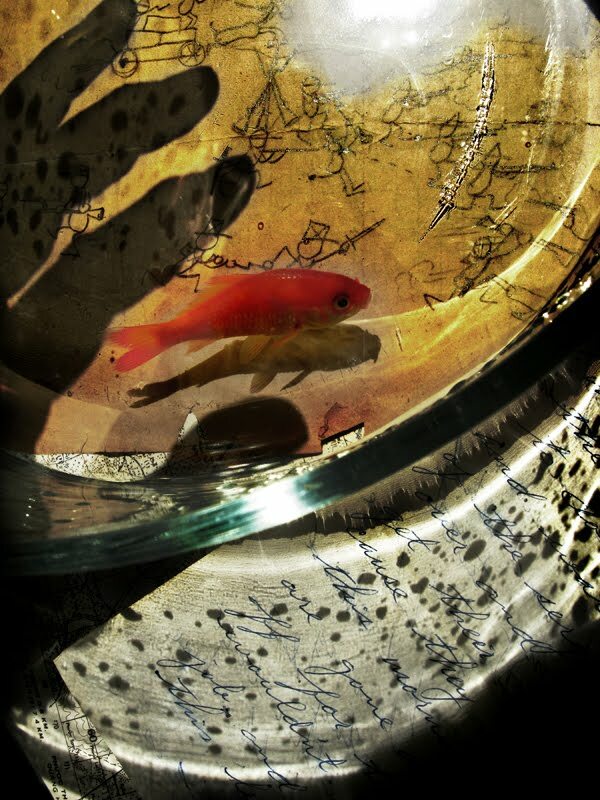 Jessica Hines has such an artistic take on life ... thank you for featuring her! This is a very very impressive book! Beautifully designed. Wonderful book that you designed with Jessica's photographs about her brother. 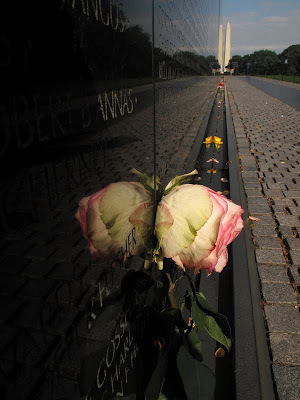 Thanks for sharing: the first two photos - the second in particular - are beautiful and heartbreaking. Great job with the book design, great story inside. the book is beautiful in every single detail ! and .. wow ! what a project ! i mean , Hines was able to develop a project that involves very personal issues , politic ideals , history , aesthetic concepts ........and by the book i saw the result got so great !! Moving work and beautifully designed!! Ohhhh I just have to make some Swedish footsteps behind me. Your blog is fantastic, me like like! Found your blog through What I Saw Today. It's terrific. I recently purchased a favorite Jonathan Becker photograph and I'm excited to see him represented here. I'm off to read your Richard Barnes interview. Love his work. Wow, the whole thing is incredibly beautiful and sad. There's straight photography and then there's interpretive photography. Stunning. Well done, this made me shed a tear or two... You've obviously succeeded your objective both in photography and design. Félicitations! wow..wonderful work and insight into these lives. Wow. This is beautiful, important and very moving. Excellent photography, thoughtful writing, elegant design -- and a universal story told through personal tragedy and loss. Couldn't be better or more profound. The Viet Nam war will never be over, in so many ways. I think Jessica has done something special for all of us. thank you for sharing this. 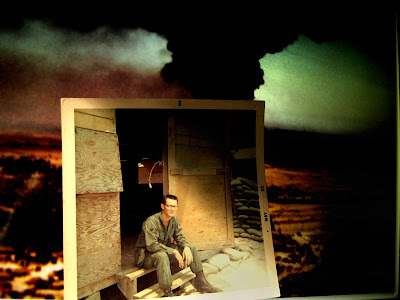 my husband was drafted and sent to Nam..it has been over 42 years,yet it is as vivid to him now as when he was there. we met 6 yrs after his return,and he was ,and still is,having "issues" with the war..issues as in personal feelings,nightmares,physical and emotional ..the list goes on. I feel for her loss....my husband still deals with his. thank you for visiting my blog..I would not have found yours otherwise..and am so glad I have. I agree that Jessica has a beautifully artistic view of the world. I'm overwhelmingly inspired by her talented and imaginative photography, her creative, heart-felt, heart-wrenching thinking and writing. I admire her bravery for sharing her inner most thoughts via photography and writing. She deserves every single accolade possible for this body of work. Bravo Jessica! wow! --I will look for this powerful, moving book. 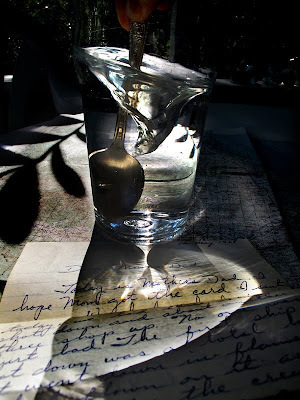 It is extremely promising to know that you have lent your hand to this project, whose photographs strike me as sometimes unconditionally successful (the spoon in the glass) and at other times sadly overreaching and summary (the toy soldiers). I think that the support of your compositional and production skills must certainly tilt that balance very coherently against prosaic speculations. I'm one of the more than 50,000 anxious supplicants for the existence of such a book. For us the reclamation of our provenance is an aspiration we've been pleased to defer indefinitely, in lieu of debauching this sensibility in the trite and pulp productions our publishers so favour. We're all but reconciled against demanding something fine and true, and frankly one of the positive features of the Hines story is that he couldn't be, and she isn't. What a brother we had, what a sister for us.